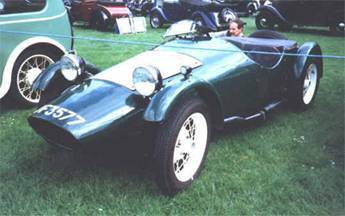 During 1956 Les Montgomery made his first Ash/Ali body for an Austin Seven. With Les and his father making two bodies a week and with a growing waiting list of up to twelve weeks, they soon had to give up their furniture business in favour of full time body production. 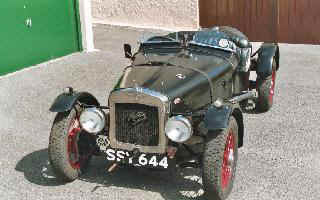 They were soon stocking specials manifolds, Graham Broadley designed Super alloy heads and sumps for the Austin Seven. Les's main competitor was Sid Hamblin and it wasn't long before Les had struck a deal with him to sell his fibreglass Cadet body shell. The first weekend after the agency deal was done orders were taken for 13 shells. From early 1959 Supers were also sole distributors of the new Markham Peasey Super Sabre and from 1960 they also offered the Jim Shaw designed Super Sportsman. They also offered shells and chassis by most of the specials companies featured in these pages and their showrooms were packed full with these bodies. 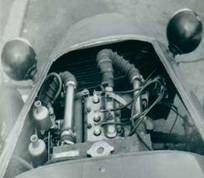 Also during 1960 Les arranged for Sid Hamblin to build an enlarged Cadet body to fit the 7`6" wheelbase chassis made by Keith Bowden for Ford Ten mechanicals. The Super Two was born of which some 200 were sold. 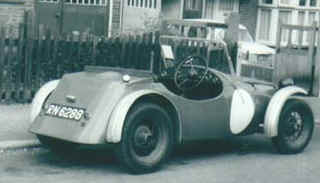 The body was later adapted to suit the Ford Pop chassis and named Super Three. Super Accessories published 36 page catalogues for both Ford Ten and Austin Seven specials containing every conceivable part for the specials builder making their showroom an absolute Mecca. In 1961 Les organized a concourse de elegance for bodies purchased from Supers at Biggin Hill Aerodrome. The attendance was amazing so too was the quality of the cars and below is a picture of the Ford Ten and Austin Seven class winners. 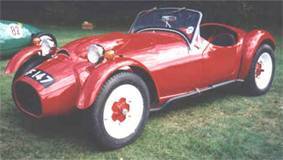 Super Accessories ceased body production in 1962 but carried on as an motor accessory supplier until the mid 1980s. If you have additional Ford Special information that you would like to be added on this site or corrections, please use the Feedback page.